Russian singer Victoria Krutaya was born on August 29, 1985 in Moscow. She is an adopted daughter of famous Russian songwriter and composer Igor Krutoy. When the girl was four years old, her parents divorced. Her mother Olga moved to the United States. Once Olga came to a concert of the Russian composer and fell in love with him. The family lived in Miami, but Igor spent much time in Moscow. In America, Victoria graduated from the Stella Adler drama school (New York), as well as the University, where she studied Business Communications. In 2008, the future singer got an internship at the popular American magazine Glamour. As she said she was only an assistant to the editor in chief. Her job was to send emails, make coffee and go shopping in search of clothing, which was supposed to look like brand, but was cheaper. Eva Polna is a Russian singer, ex-member of the band Guests From The Future. Pretty girl was born on May 19, 1975 in Leningrad (now St. Petersburg), Russia. As a child, the future singer was fond of science fiction and dreamed of becoming an astronaut. Little Eva loved to sing and dance. Her idols were ballerina Anna Pavlova and jazz singer Ella Fitzgerald. In 1991, Eva entered the St. Petersburg Academy of Culture and Arts. In 1994 the girl appeared on the stage as a dancer and backing vocalist of St. Petersburg rap group A-2. However, a year later, the singer left the band. She performed in various St. Petersburg clubs, where she sang the classic rock ballads. By the way, she could sing for hours, her personal best was Five hours without a break. The girl’s career has changed after meeting with Yuri Usachev in 1997. A young man was searching for a singer for his own musical project. The project was called Guests From The Future. Their debut concert was held on March 8, 1998 in the night club Titanic. Actually, Eva and Yuri became popular after the release of the song Run Away From Me written in dream-house style. Marina Abrosimova is a successful Russian pop singer who performs under the stage name MakSim. By the way, she is a music producer, Honored Artist of the Karachay-Cherkess Republic (2013). Pretty girl was born on June 10, 1983 in Kazan, Russia, into the family of a mechanic and a kindergarten teacher. Marina was engaged in karate and attended music school. In her childhood she spent much time with her elder brother Maxim and was nicknamed Maksim, which later became her stage name. At school, she began to participate in various music competitions such as the Teen Star and Nefertiti Necklace. Also the girl composed her own songs, including Stranger and Winter, included in her second album My Paradise. Marina graduated from the Kazan State Technical University. The girl wanted to change her life and went to Moscow. It was reported at that time Maksim even performed in the Moscow subway. 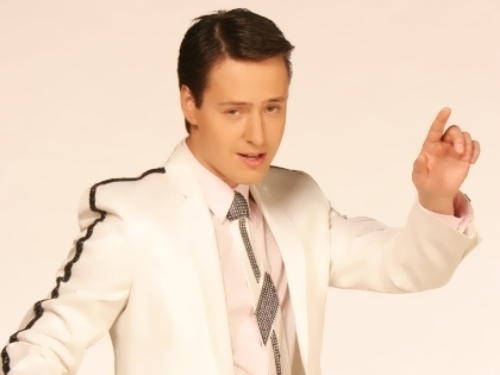 Vitas is a pop singer and actor. His real name is Vitaly Grachev. You know, he is famous for singing in falsetto. His unique, extraordinary voice is insured for two million dollars. Vitaly has five and a half octaves range voice and even can sing bass. The future singer was born on February 19, 1979 in Daugavpils, Latvia. Soon his family moved to Odessa. For three years Vitaly learned to play the accordion at the music school. As a child, the boy perfectly copied the movements of Michael Jackson, and later, while practicing in the theater of plastic, he brilliantly parodied the most diverse people, both men and women. In addition to the stage, Vitaly liked to draw. His work somewhat resembles the artistic style of Salvador Dali. Also the boy was fond of computer technologies. After school Vitas went to conquer Moscow, where he began collaborating with Sergey Pudovkin, who became his producer. In the capital of Russia, he released the music video for the song Opera # 2, which immediately became popular. The song was written by the singer at the age of 14. Peter Nalitch is a Russian singer and composer who represented Russia at the Eurovision Song Contest 2010 in Oslo. In the final on May 29, he took the 11th place with his song Lost And Forgotten. Actually, Peter became the first musician in the history of the Russian music industry, whose songs became popular thanks to the Internet. Peter was born on April 30, 1981 in Moscow, Russia. His parents are architects. You know, his grandfather Zahid Nalic was a Bosnian opera singer. Peter studied at the Myaskovsky music school. At school, he organized a rock band. The boys played hard rock and Peter was a vocalist. 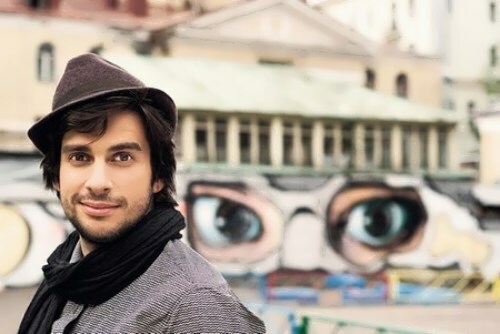 Nalitch graduated from the Moscow University of Architecture and studied music at Orfei Studio directed by Irina Mukhina and at the State musical college of The Moscow Conservatory. At the University of Architecture Peter joined the theater club, where he became interested in staging musical performances. By the way, for two years he worked as an architect.